We got it. 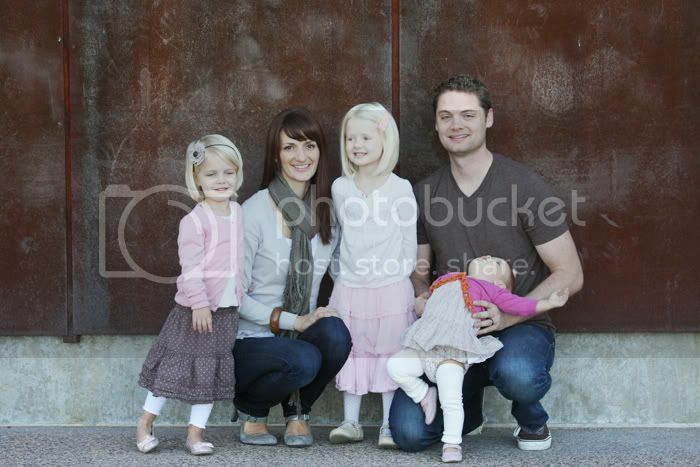 One family photo with all five of us that I absolutly love. It's really not too much to ask for, right? I love this one just as much - it's definitely going up. 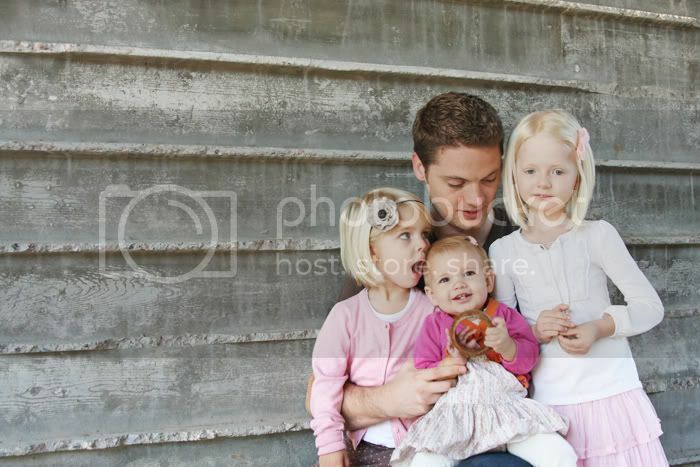 Luckily our photographer was amazing with my girls and we do have plenty of photos to gift to family and adorn our home with. We are also so fortunate that she is a good friend and shared the blooper files with us as well. Some of them I almost prefer just because they are so, "us." Seriously. What is she doing? Perhaps just prepping early for her role in Swan Lake? I love how E and I are smiling our way through it as if the flailing baby isn't affecting us in the least bit, but at this point we were totally done. Dang babies just don't get it! We need to do that soon- kind of dreading it, but it is worth it -esp when you get some gems! oh gosh hayley. SO adorable. Loving your red hair. Looking Foxy. 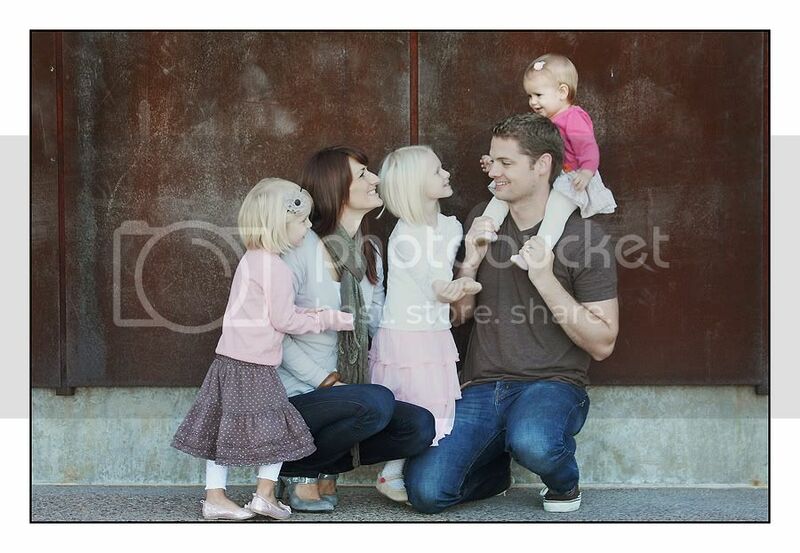 i need to get my act together and get some family pics done too. These are gorgeous! 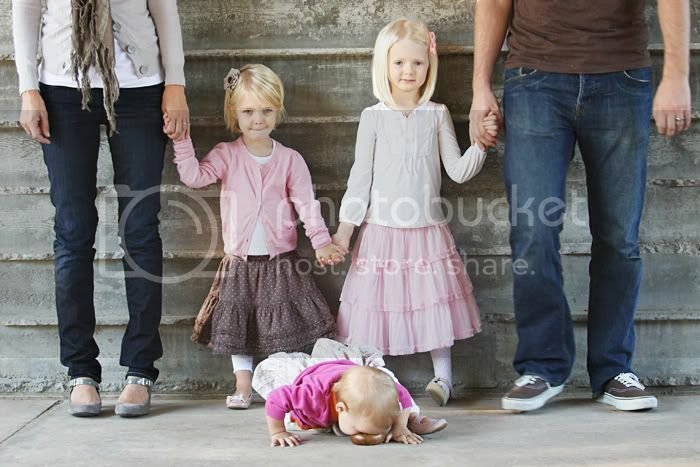 Perfect family pics if you ask me!!! 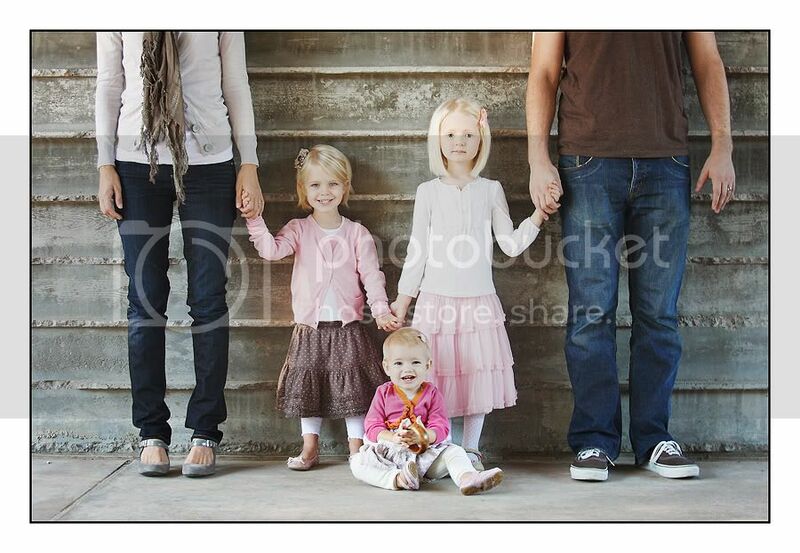 Are family pictures are the same way. 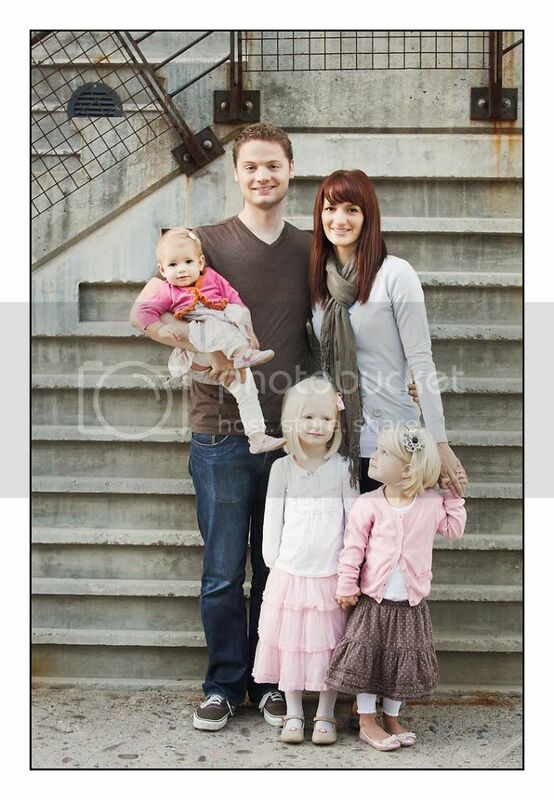 Every year we pic the ones where the kids look great and me and mike look intoxicated. This year we switched it up, we look good and the boys look silly! 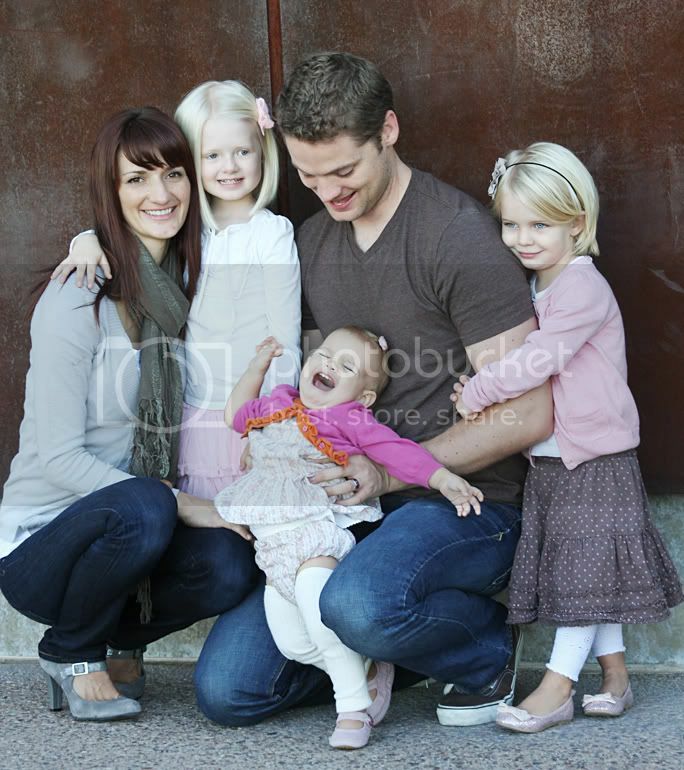 They are great pics, beautiful family!! I love the color scheme you chose for your outfits. And I laughed at the blooper reel. Those are amazing. Who is your friend that took them? I LOOOOOVE these!!! wow. so cute. love your shoes, and your hair, and the flailing baby....and just love you guys.